Look! It’s Mickey Mouse! And he’s playing soccer! 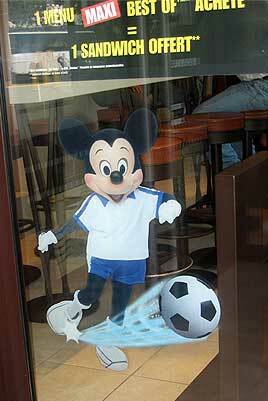 As a window decal at a McDonald’s in Paris! 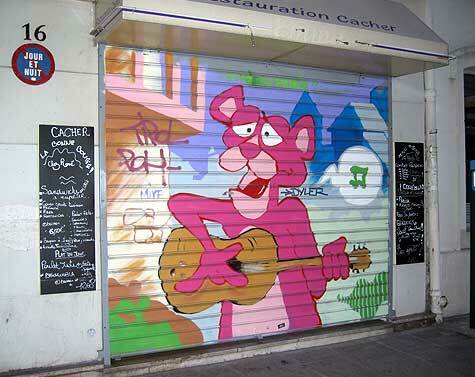 Posted by HarryPosted on June 29, 2005 Leave a comment on Zut Alors! Here’s the security gate on a restaurant we passed one night on our way to dinner. From a Parisian costume shop (there are lots of them): Lucky Luke, Asterix, Zorro, Mickey Mouse, Snow White, and Spider-Man. Together again for the first time. 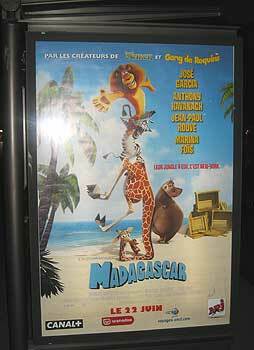 Madagascar was about to open in Paris when I was there, and ads for it were everywhere. They touted the movie’s all-star voice cast–but they were different all-star voices than the ones in the U.S. version of the film. And I’d never heard of any of them. 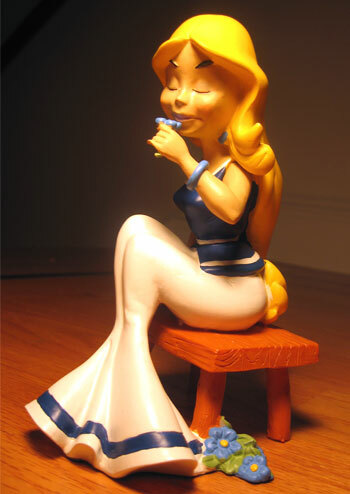 Here’s Falbala (aka Panacea), an Asterix character, in an $18 figure I bought at Parc Asterix–home, I suspect, of the best theme-park gift shops on the planet. I’m still playing catchup from my Paris visit, so I’ll blog highlights of the trip in bits and pieces. Starting right now. 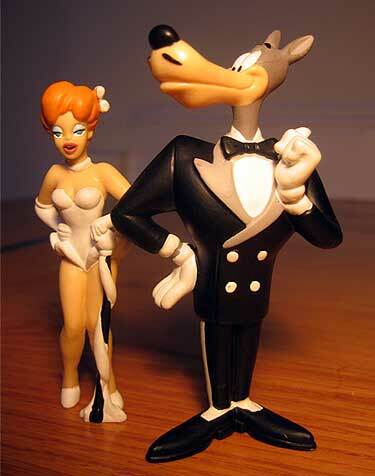 Here are figurines I bought–at a neighborhood video store–of the characters that the French call La Girl and Le Loupe. 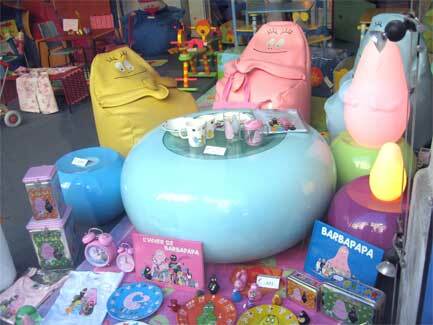 These aren’t those 100-euro limited-edition collectors’ items, though I saw plenty of those. No, these ones cost me about four bucks apiece. How can you dislike a town where stuff like this is readily available for prices like that? Both gents will be missed. 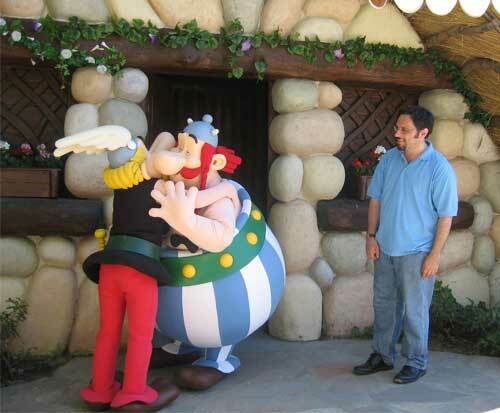 And as far as I’m concerned, they’re irreplacable–even though Disney obviously doesn’t agree.